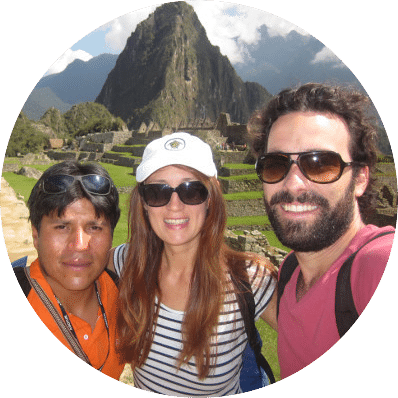 Things to Do In Machu Picchu - Must See Sights! 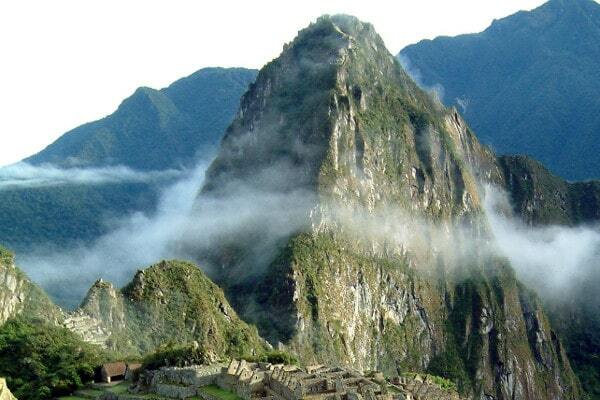 Situated high in the Andean hills, Machu Picchu sits atop a ridge overlooking several large valleys. Its iconic status as one of the worlds most interesting places to visit means that millions of tourists enter the ancient citadel every year. The large ruins, perfect masonry and strange architecture has baffled researchers for many years and continues to captivate visitors on mass. The ancient city certainly allows us a glimpse into the lost culture of the Incas, but the site often asks more questions than it answers. 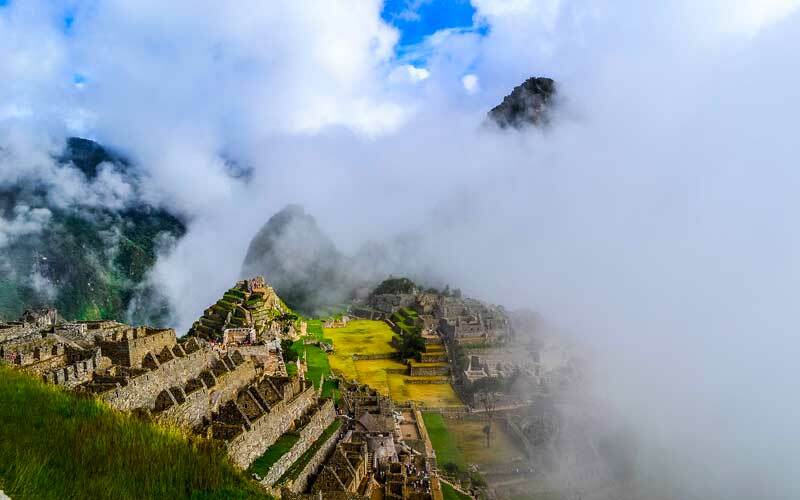 In order to help you get the most out of your visit to the citadel, we have put together a list of our favourite things to do in Machu Picchu. You may not get time to see them all, but hopefully you’ll be able to tick off quite a few! 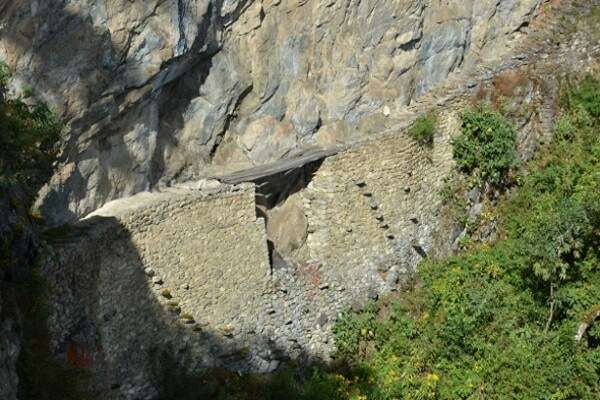 Considered to be one of the most important features of Machu Picchu, the stairs leading up to the Sun Gate are believed to have been used as a control port for people entering and exiting the city. 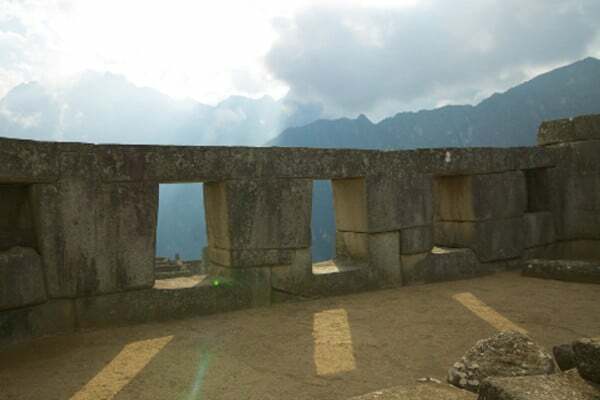 The site is a favourite among tourists as the sunrise from the Sun Gate is simply spectacular. If you want the bird eye view of Machu Picchu seen plastered over cafe walls the world over, then you need to climb Huayna Picchu. Located directly behind the city, the towering mountain is actually a fairly straight forward climb and requires no technical ability. 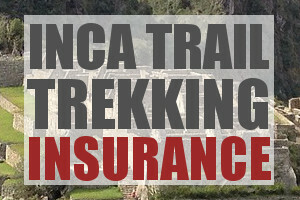 You will need to pay a bit extra though to get your climb permit. Built as a secret entrance for the Incan army, the bridge is carved into a cliff face on the west route out of Machu Picchu. There is actually no bridge, instead a stone path is carved out of the cliff rock. Where there should be a bridge, there is instead a 20 foot drop to deter unwanted guests. The gap can be bridged with several tree trunks. After entering the city you’ll see the Watchman’s Hut. This is the perfect place to get a fantastic view over the whole city and should not be missed! Just outside the Watchman’s Hut lies a strangely carved rock known as the Funerary Stone. Researches are still puzzled as to what it could have been used for, however, a number of historians have suggested it could have been a sacrificial alter. One of the best places to visit. 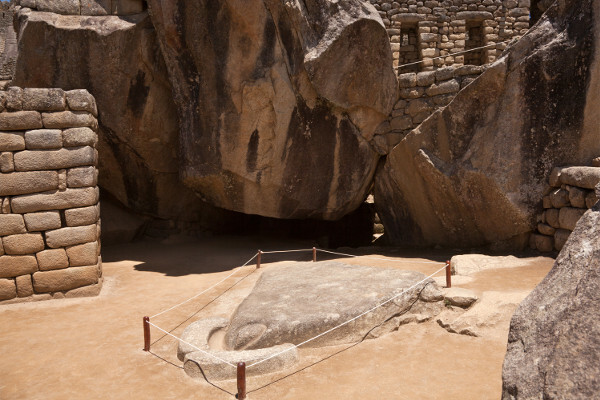 Located next to the main fountain, the Temple of the Sun demonstrates some of Machu Picchu’s finest stone work. The temple was possibly used as an astronomical observatory and there are several niches in the temple where offerings would have been placed. Located right next to the Temple of the Sun is the Royal tomb or Palace of the Princess. 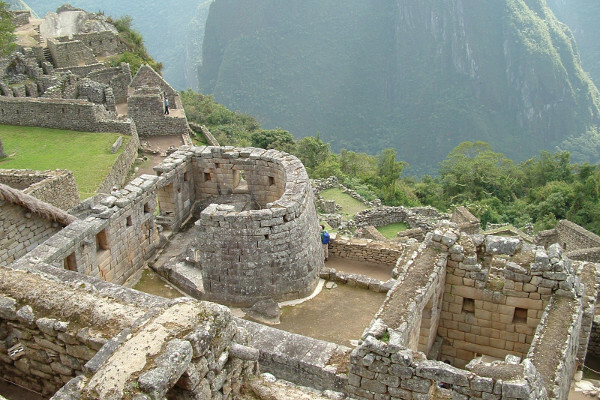 Hiram Bingham, the discoverer of Machu Picchu, described the outer wall of the building as the finest wall in all of the Americas. Like the Sun Temple, there are tall niches for offerings and the base of the building has a sort of cave like structure which is why Bingham referred to the site as a ‘tomb’ – no bodies have ever been found though. Fed from natural spring waters by 750 metres of stone channels, Machu Picchu is alive with little fountains that fill over 16 baths! It is thought that the baths were used for purification and ritual ablutions, however, this is not known for certain. Located in the Royal sector, the Temple of Three Windows is the first of three buildings that make up, what Bingham described as, the ‘Sacred Plaza’. Like other buildings in the royal sector, the Temple of Three Windows is made up of much larger blocks of stone, some weighing in excess 3 tons! Because the three windows frame the three facing mountains perfectly, Bingham believed that the windows represented the three mythological caves from which the Ayar brothers – the three children of the sun – came onto earth. The second building in Binghma’s Sacred Plaza is the Principal Temple, so named because of its large size. The building is a three sided edifice with beautifully cut stone and enormous foundation blocks. A kite shaped stone is embedded in the temple which is thought to represent the Southern-Cross star formation. 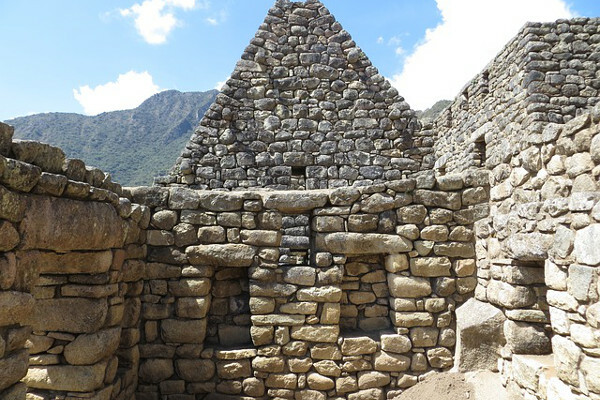 The third structure in the Sacred Plaza is the House of the High Priest. 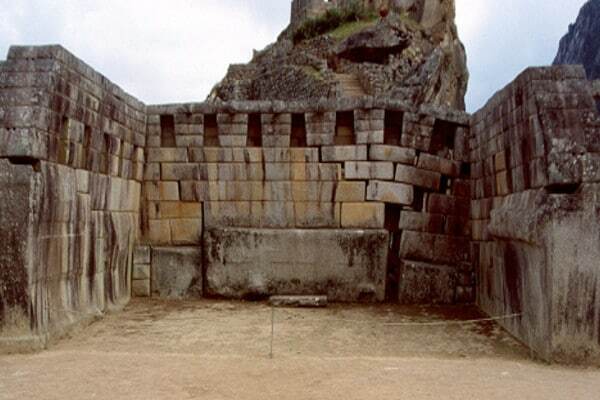 Although not clear if the high priest actually lived here, this is the only foundation in the plaza to have four walls. 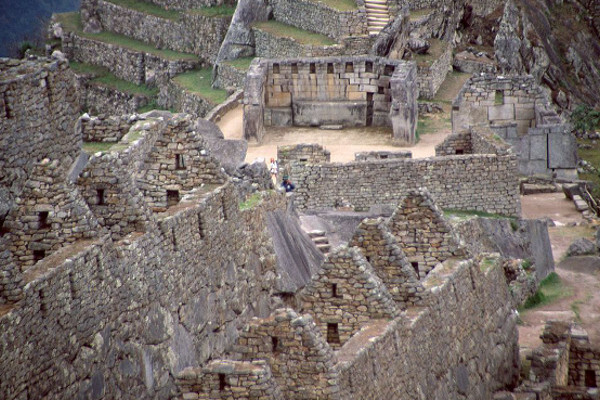 The house is one of the great solid structures in Machu Picchu. 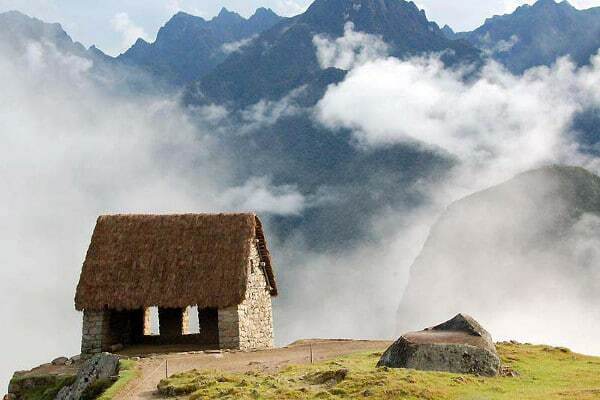 Considered by many to be the finest building in Machu Picchu. The Sacristy was a room used to store ornaments as can be seen by the many niches dotted around the room. More impressively though are the two large rocks flanking the entrance. 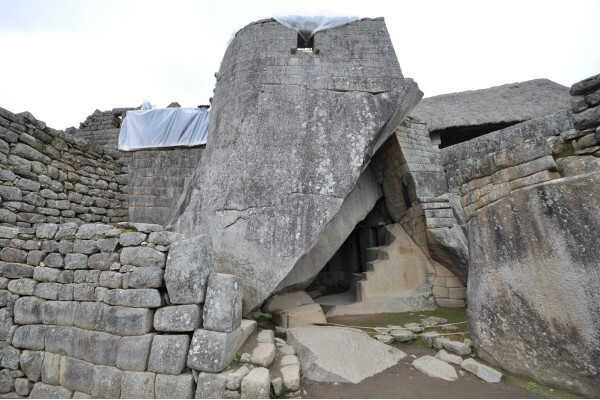 Each colossal stone has at least 30 angles carved into it! 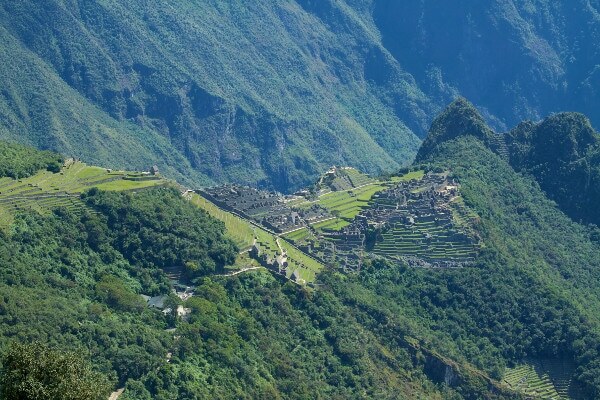 One of the most recognizable locations in Machu Picchu, Intihuatana was used by the Inca people as a sundial to predict solstices. 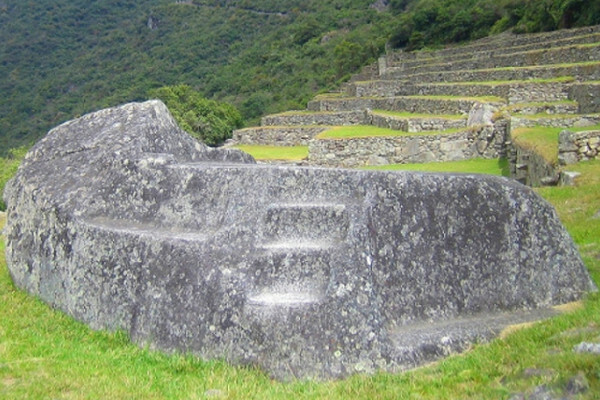 The terraced type area that holds the pillar is not the only one of its kind as several similar structures have been found at other Inca sites dotted around the country. 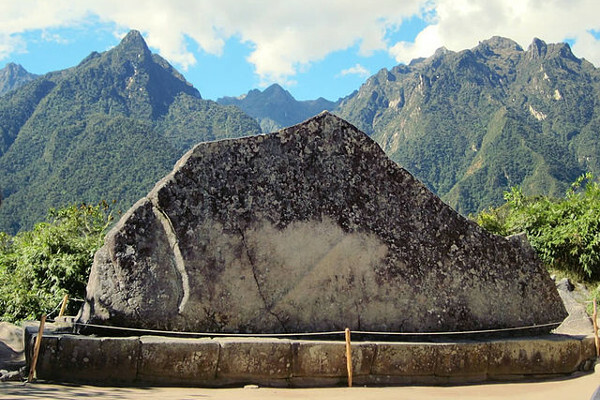 The shape of the pillar rock itself actually mimics that of Huayna Picchu that sits directly behind the stone. This is the large grassy area that separates the residential buildings from the functional buildings. You’ll often spot the odd llama or two grazing here. Generally, authorities will not allow people on the grass. 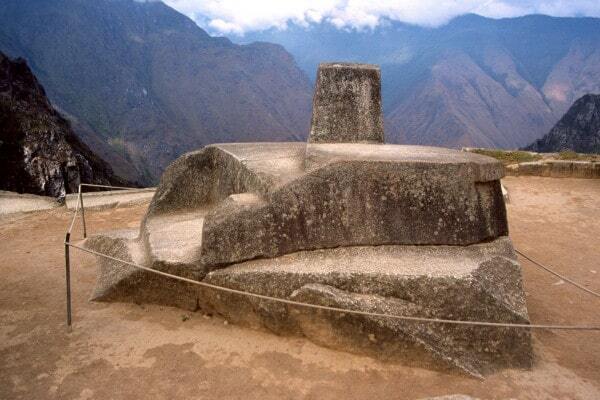 This giant and intriguing stone takes the shape of Putucusi mountain that sits directly behind it. Researches are unsure what the rock was used for but one theory is that poetry and musical recitals took place in front of the stone. 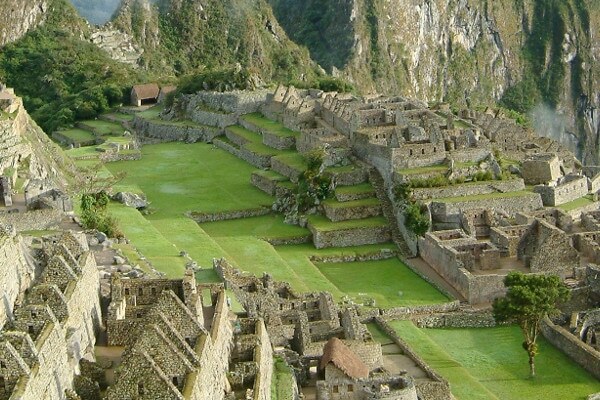 Although not as interesting or intricate as the rest of the site, the industrial area is by far the largest section within Machu Picchu and is where the average Inca Person would have lived. A complex set of rooms and passages make up the area where prisoners would have been kept. 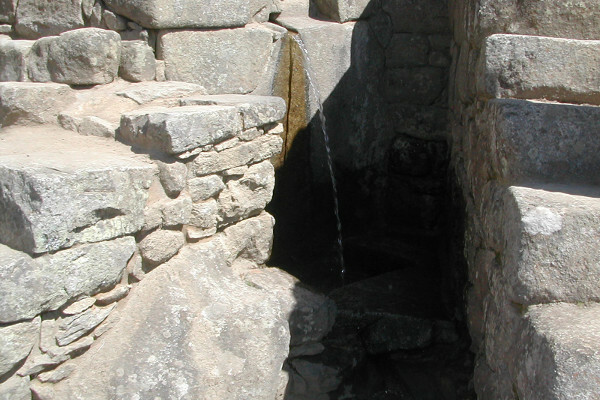 Inca prisoners were kept both above and under ground, sometimes in deep holes with cell doors. Be sure to take a look at the marvelous carving of the condor! 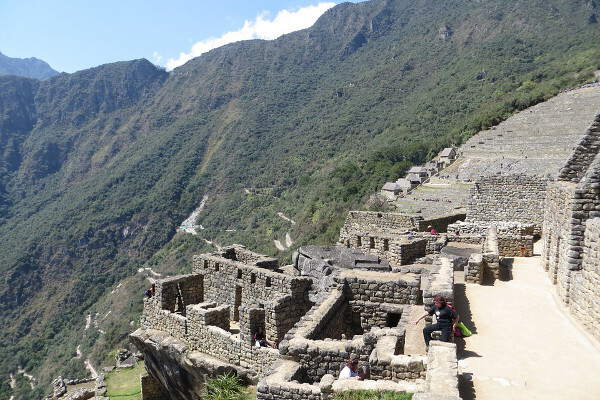 No trip to Machu Picchu would be complete without visiting the many terraces that drop down the side of the ancient city. You can walk along many of these green alleyways and they make the perfect spot for a nice rest and beautiful view! Can you please advise where the sun gate is located on a map . Hey, I am using this site for as a source for a school project, but I couldn’t find the date. Does anyone know when it was published (as specific as possible)? Hi Skylar, this page was last updated in January 2019.